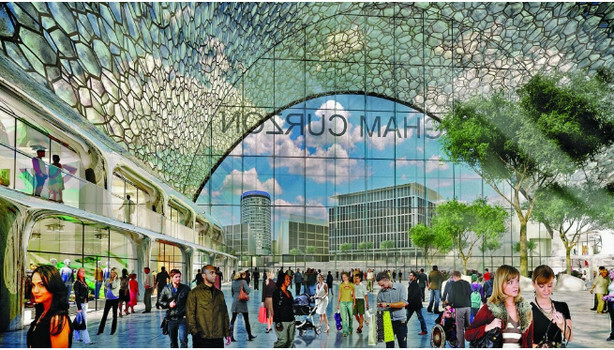 Birmingham is planning to transform 141 hectares of land with a 30 year long plan, the 'Curzon Investment Plan'. It's estimated to cost up to £1.4 billion and create 4,000 new homes and generate employment for 36,000 individuals plus 600,000 sq metres of commercial floor space. The HS2 crossing is a unique opportunity according to Birmingham City's lead, John Clancy. Lead by the Greater Birmingham and Solihull LEP as well as Birmingham City Council, the new investment plan has promised to be bold and exciting. Examples include Curzon Promenade, Curzon Square and an incorporation of original Curzon Station, a Grade I listed building. Prime Minister Theresa May said: “I’m delighted that Greater Birmingham is making this investment in the future, working to maximise the potential of HS2 by investing in jobs and housing – and encouraging more business investment. It was in Birmingham where I outlined my plan to build an economy that works for all, with a proper industrial strategy that delivers prosperity, job creation and higher wages across the country, not just in London." Plans for a suspended swimming pool been unveiled for Embassy Gardens at Nine Elms on London's South Bank.